If you have never sat in the pilots seat, a paraglider may simply look like a harness that is attached to a small parachute. Upon closer inspection, these gliders are much more complex. 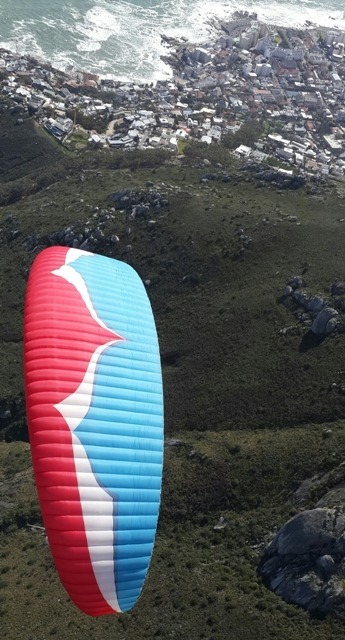 Before you consider learning to paraglide, or going up in the air as a part of a tandem paragliding Cape Town session, it is worthwhile to take a moment to get to know how the paraglider parts work together to allow for an amazing experience. While a paragliders canopy, or wing, may look a bit like a parachute, its shape is considerably different. Whereas parachutes are round and designed to capture air, a paragliding canopy is elliptical and carefully designed to allow the structure to stay airborne. Canopies are typically made from extremely durable, rip-resistant nylon. While it may look like one single piece from the ground, the canopy is actually made of two sheets of material that are separated by cells that inflate and trap air, increasing the paragliders ability to remain elevated. The front of the canopy, where air enters the cells, is referred to as the leading edge. When you look closely at a paraglider, you will see that there are many more lines than necessary to just connect a pilot to the canopy. There are actually multiple rows of lines, which serve important purposes for the control of the glider. The thirty or more lines come together in bunches referred to as risers, on either side of the pilot. The pilot is able to use the risers to control the speed and the direction of the structure. The last row of lines is attached to the rear of the canopy, or the trailing edge. By manipulating the trailing edge, the pilot can slow the glider if desired. There are also lines attached to either side of the canopy, allowing the pilot to control the direction of the flight. The risers are attached onto the harness where the pilot and any tandem passengers are seated. Contrary to common assumptions about paragliding, these harnesses are actually often designed to be quite comfortable. While there are straps to keep the pilot secure, the harness is a soft and supportive chair that makes gliding even more enjoyable. The harness, lines, and canopy are not the only items necessary for a day of the best paragliding Cape Town has to offer. It is also vital to have all of the necessary safety equipment. A reserve parachute is an item of paragliding equipment that no paraglider should go without. While it is very unlikely that the canopy will collapse, unless the weather is very poor for gliding, a reserve parachute can bring a paraglider safely to the ground. In addition to having this backup safety parachute available, when going paragliding, a helmet and a sturdy pair of shoes will also be wise to have before embarking on a paragliding trip. It is important to wear attire that will be comfortable and appropriate for your takeoffs and landings.